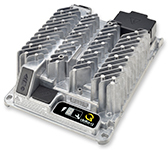 The Curtis Model 1621 high frequency battery chargers are portable and allow easy charging of industrial vehicle batteries from 24 VDC to 96 VDC using any standard outlet in the world. Curtis Model 1621 battery chargers are ideal for use in material handling, airport, golf, aerial lift, sweeper/scrubber, utility, Light-On-Road and general industrial battery-powered vehicles. The Curtis Model 1622 high frequency battery chargers are portable and allow easy charging of industrial vehicle batteries from 24 VDC to 48 VDC using any standard outlet in the world. 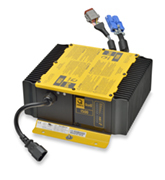 Curtis Model 1622 battery chargers are ideal for use in material handling, airport, golf, aerial lift, sweeper/scrubber, utility, Light-On-Road and general industrial battery-powered vehicles. The Curtis Model 1623 is a combination high-frequency battery charger and DC/DC converter in one package. Curtis Model 1623 battery chargers are ideal for use in material handling, airport, golf, aerial lift, sweeper/scrubber, utility, Light-On-Road and general industrial battery-powered vehicles. The Curtis Model 1624 is a high-frequency battery charger that is ideal for use in material handling, airport, golf, aerial lift, sweeper/scrubber, utility, Light-On-Road and general industrial battery-powered vehicles. Model 1624 provides 695 to 1000 Watts at output voltages of 24, 36, 48, 72 and 96 VDC. The Curtis Model 1625 is ideal for use in utility, specialty golf, aerial lift and general industrial batterypowered vehicles. Model 1625 provides 1200 to 1500 Watts at output voltages of 48 and 72 VDC. The Curtis Model 1626 high frequency battery chargers are portable and allow easy charging of industrial vehicle batteries from 24 VDC to 48 VDC using any standard outlet in the world. Model 1626 provides 900 to 960 Watts at output voltages of 24, 36 and 48 VDC. Model 1626 battery chargers are ideal for use in material handling, airport, golf, aerial lift, sweeper/scrubber, utility, Light- On-Road and general industrial battery-powered vehicles. 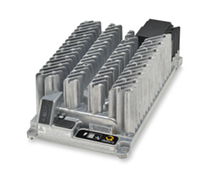 The Curtis Model 1627 high frequency battery chargers are portable and allow easy charging of industrial vehicle batteries from 24 VDC to 48 VDC using any standard outlet in the world. Curtis Model 1627 provides 1,200 Watts at output voltages of 24, 36 and 48 VDC. Model 1627 battery chargers are ideal for use in material handling, airport, golf, aerial lift, sweeper/scrubber, utility, Light- On-Road and general industrial battery-powered vehicles.